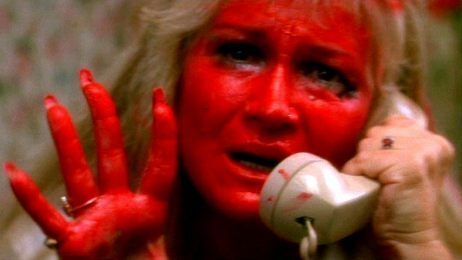 Today is the 80th Birthday of the amazing actress Diane Ladd. Wiki and IMDB say her birth year is 1935 and Biography.com says it’s 1942. It doesn’t matter. She has has a long career full of amazing work, but if you only see one film, see “Wild at Heart.” You will want to see everything she has ever done. Diane Ladd is an American actress, film director, producer and published author. She has appeared in over 120 roles, on television, and in miniseries and feature films, including Alice Doesn’t Live Here Anymore (1974), Wild at Heart (1990), Rambling Rose (1991), Ghosts of Mississippi, Primary Colors, 28 Days (2000), and American Cowslip (2008). Twice divorced and currently married, Ladd is the mother of actress Laura Dern by ex-husband actor Bruce Dern. Ladd was born Rose Diane Ladner in Meridian, Mississippi in 1932, the only child of Mary Bernadette (née Anderson; August 15, 1912 – May 23, 2002), a housewife and actress, and Preston Paul Ladner (August 14, 1906 – April 1982), a poulterer. Ladd is a second cousin of playwright Tennessee Williams and is also related to poet Sidney Lanier. Ladd was raised in the Roman Catholic faith of her mother. Ladd was formerly married to actor and one-time co-star Bruce Dern from 1960–1969; the couple had two children, Diane Elizabeth Dern and actress Laura Elizabeth Dern. Diane died at 18 months from head injuries caused by falling into a swimming pool. Ladd and Laura Dern co-starred in the films Wild at Heart and Rambling Rose. They also appeared together in Inland Empire, another film by David Lynch. They most recently have co-starred on the HBO series Enlightened. Ladd is now married to Robert Charles Hunter. In 1971, Ladd joined the cast of the CBS soap opera, The Secret Storm. She was the second actress to play the role of Kitty Styles on the long-running daytime serial. She later had a supporting role in Roman Polanski’s 1974 film Chinatown, and was nominated for an Academy Award for Best Actress in a Supporting Role for her role as Flo in the film Alice Doesn’t Live Here Anymore. That film inspired the TV series Alice, in which Flo was portrayed by Polly Holliday. When Holliday left the TV series, Ladd succeeded her as waitress Isabelle “Belle” Dupree. In 1993, Ladd appeared in the episode “Guess Who’s Coming to Chow?” of the CBS comedy/western series Harts of the West in the role of the mother of co-star Harley Jane Kozak. The 15-episode program, set on a dude ranch in Nevada starred Beau Bridges and Lloyd Bridges. In 2004, Ladd played psychic Mrs. Druse in the television miniseries of Stephen King’s Kingdom Hospital. In April 2006, Ladd released her first book entitled: Spiraling Through The School Of Life: A Mental, Physical, and Spiritual Discovery. In 2007, she co-starred in the Lifetime Television film Montana Sky. In addition to her Academy Award nomination for Alice Doesn’t Live Here Anymore, she was also nominated (again in the Best Actress in a Supporting Role category) for both Wild at Heart and Rambling Rose, both of which she starred alongside her daughter Laura Dern. Dern received a nomination for Best Actress for Rambling Rose. The dual mother and daughter nominations for Ladd and Dern in Rambling Rose marked the first time in Academy Award history that such an event had occurred. They were also nominated for dual Golden Globe Awards in the same year. Ladd has worked in the theatre as well. She made her Broadway debut in the play Carry Me Back to Morningside Heights in 1968. In 1976 she starred in the play, A Texas Trilogy: Lu Ann Hampton Laverty Oberlander, for which she received a Drama Desk Award nomination.